Today, Astraware has released their first two games for Palm webOS: Astraware Sudoku and OddBlob. Staffordshire, UK – August 24, 2010 – Astraware® is excited to announce the release of its first games for Palm® webOS™. The first two games, Astraware Sudoku and OddBlob, will initially support Pre™ and Pre Plus devices with support for Pixi™ to be added later. Astraware Sudoku is a multi-award-winning version of the worldwide smash puzzle game. 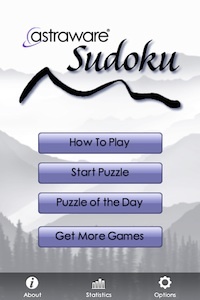 It is packed with features that avid Sudoku players love, including the unique Puzzle of the Day feature, which sees in excess of 20,000 users regularly downloading the daily puzzles and uploading their times on the global leader board. 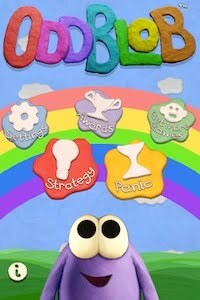 First released for smartphones earlier this year, OddBlob is a cute puzzle-arcade game entirely created from modeling clay, and featuring online leader boards for players to post their high scores in both Strategy and Panic modes. Astraware intends to bring a number of their own-IP games to the webOS platform as well as working with their premium licensor partners to add to the range of quality casual games available in the Palm App Catalog. Astraware Sudoku and OddBlob are available now on the webOS App Catalog, priced $4.99 each. For more information visit http://www.astraware.com/webos.